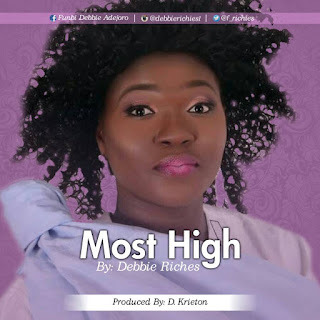 Debbie Riches (Funbi Debbie Adejoro), a native of Osun State started her own music ministry after university in 2012. Her style cuts across many genres and her music will never leave you 'unblessed'. She has ministered on several platforms with the sole motive of glorifying Christ through music. 'Most High' is her debut single and a song of praise, it's Debbie's testimony and everyone's testimony. The song is inspired by the word of God itself than from Psalms 92:1. 'Most High' would connect your heart in gratitude to God.